Cannes 2018: More or Less. And why it matters. Congratulations to this year’s Cannes Lions award winners! Despite all that takes place around the Cannes Lions Festival of Creativity, being inside the Palais, taking in all the work, continues to be my favorite part of Cannes. My biggest takeaway from this year was that there were LESS dominant brave and breakthrough campaigns winning in every category like “Fearless Girl” last year or REI’s “Opt Outside” several years ago. So why does that matter? Because, in turn, there were plenty MORE campaigns celebrated this year, offering up much more diverse creative to inspire us. Ironically, in a year that was supposed to be “less” Cannes than in years’ prior – with agencies pulling back on involvement and client budgets arguably reduced – there was still an awful lot of noise to sift through to get to the Cannes that we should all want to spend more time experiencing. 2018 was an interesting year at Cannes. But because of where we come from and how far forward we’re moving to evolve the festival, we need a little less of some Cannes elements and a little more of others. Here’s my take on what we need to focus on, and why, s’il vous plait. 1. We need LESS emphasis on celebrities as a must-have on the mainstage Lumiere. And we need MORE time and attention – on the biggest stages – for the people who are driving cultural change. See Tamara Burke’s Cannes talk on the #metoo movement. See HP’s CMO Antonio Luccio on how diversity is changing their business for good. Why does this matter? 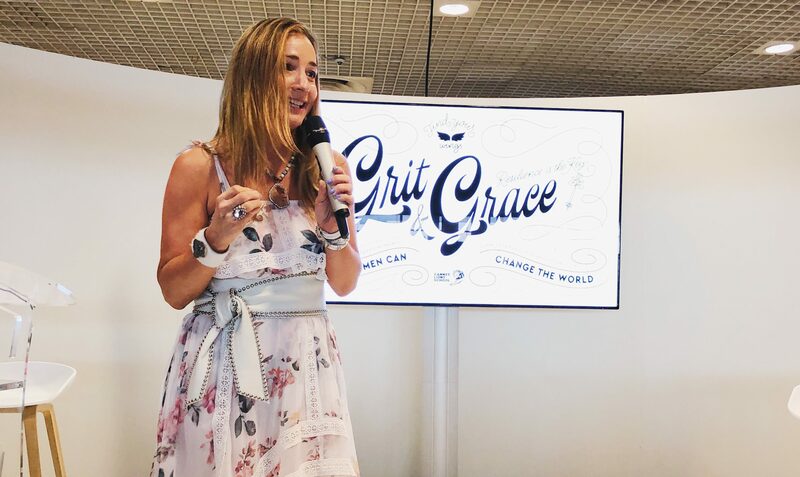 You don’t need celebrities to fill the seats at Cannes – the biggest draws are the industry trailblazers whom we can all learn from and immediately apply insights to our businesses. 2. We need LESS griping from the PR people about not winning the big awards in the PR category. In fact, PR agencies did win Lions, particularly in the categories where true PR expertise supersedes everything else – such as CSR and Real-Time Response. See AB Water Brewery with Crockpot Killed Jack, who had to act fast when “This Is Us” TV fans blamed the brand for killing off their favorite character. And we need MORE PR category judges who are creatives. This year, there were only two creatives on the PR Jury which is the exact opposite of all the other category juries. It’s also a reflection of the fact that PR does not have enough creative talent to truly best the creative agencies…yet. Why does this matter? If your agency wants to win more Lions, it’s time to build more creative resources who can compete and win – and judge – at Cannes. 3. We need LESS talking about inclusion and diversity without pushing for the actions. And we need MORE showcasing the actions brands and agencies are taking on issues of inclusion and diversity. Here are some brave brands that did just that, like HP, who’s brand preference has risen by 26% and revenue by 33% since they enacted their commitment to diversity; and brilliant work such as The Greatest German Supermarket; Ford Handicab; This Coke is a Fanta. Why does this matter? Because diversity isn’t a nice to have anymore but a must have to drive business success. The companies that realize this first will have a competitive advantage. 4. We need LESS white men dominating the awards ceremonies, outside of the Glass Lions category. And we need MORE brave work from diverse creative teams to take on stereotypes and change perceptions in ways we haven’t seen before, such as #bloodnormal; Sindoor Khela “No Conditions Apply,” and #whatdoesitreallymeantobeaman. Why does this matter? Diversity of perspectives on creative teams and within clients leads to better work, as well as a stronger pipeline of talent from every walk of life. 5. We need LESS brand logos along the Palais where virtually everything has been bought, including the beaches and the best views. And we need MORE brands changing their logos to make a perfect and relevant statement in winning campaigns. See KFC/FCK, McDonalds The Flip & Lacoste for examples of brands who successfully reached their target audience with a call-to-action. Why does this matter? Because unaltered logos used to be sacred, but adaption of them have become a brilliant way to showcase a company’s purpose or the issues it believes in. 6. We need LESS excess at Cannes that doesn’t live up to the ideals for a sustainable world, including less printable materials, water bottles and swag that get left behind. Why does this matter? Cannes is a thing of beauty. If we can’t showcase our industry’s commitment to the environment here, we won’t be practicing what we preach. We need to leave Cannes better than we left it, and this is just the industry to do it. The more time I spend with the meaningful work and talks each year, the less I deal with all the excess of distracting entertainment. And while that part can be fun in the moment, Cannes has WAY MORE to offer us afterward, and I wouldn’t want it any other way. ‘Til next year.